The Arts Society provides children and young people with exciting opportunities to become involved in creative arts activities. In our work with young people we aim to build a lasting enthusiasm for the arts and an awareness of arts heritage and its conservation. Our Young Arts project for 2016 took place at The Park School, Woking. 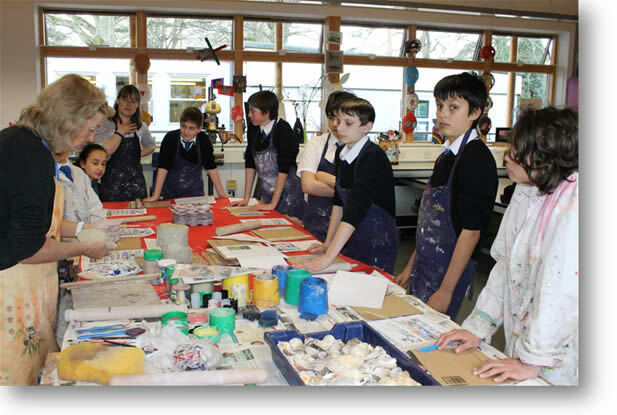 The Arts Society Woking sponsored Angie Child, Ceramicist, to spend a day with some Year 7 and Year 8 pupils. Like most schools, The Park does not have a kiln on site and the craft of clay modelling is restricted to using air-drying clay, which cracks easily. 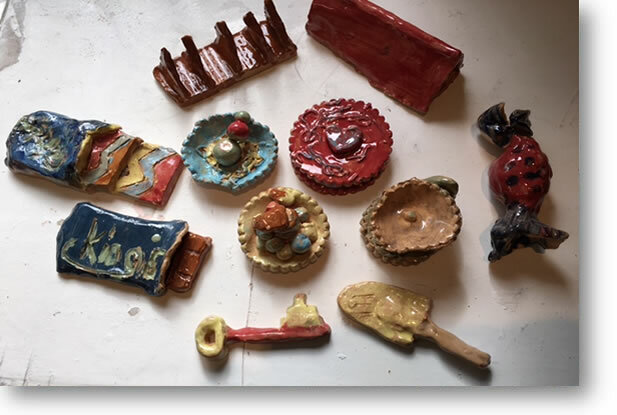 With Angie Child, the pupils were able to create and decorate their own pieces, which she then took away to be fired in her own kiln. The themes the pupils were working with this year were ‘A plate of food, Sweets and chocolates. 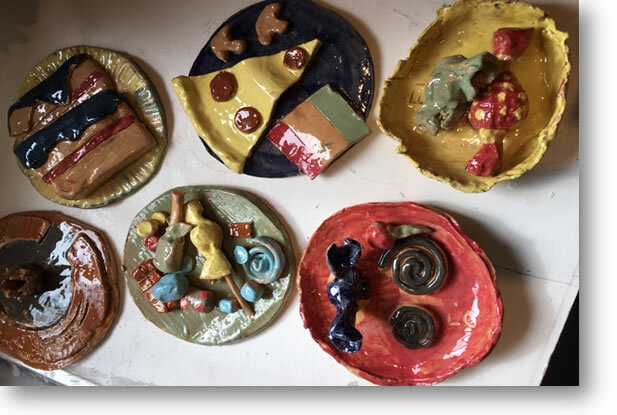 A plate of pizza was realistically portrayed together with cakes and cupcakes. Bars of chocolate, toblerone and quality street sweets in colourful wrappers were fashioned which were so lifelike that they got mistaken for the real thing! The pupils enjoyed the experience enormously – and so did our potter! Angie will return to Park School in 2017 to involve the pupils in another project.